← It’s all falling into place – again! 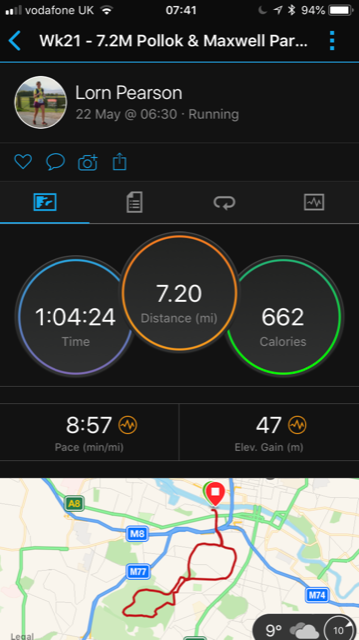 Last week I did 2 runs and 2 strength sessions, and a coaching chat with someone who I’m going to help train for a marathon later in the year. 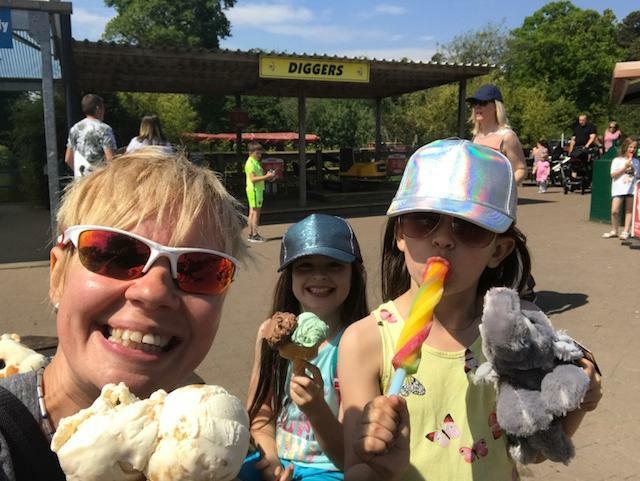 I moved my long run, 10 miles, to the Monday bank holiday, as I had my nieces on Saturday and took them to see the animals at Blair Drummond Safari Park. 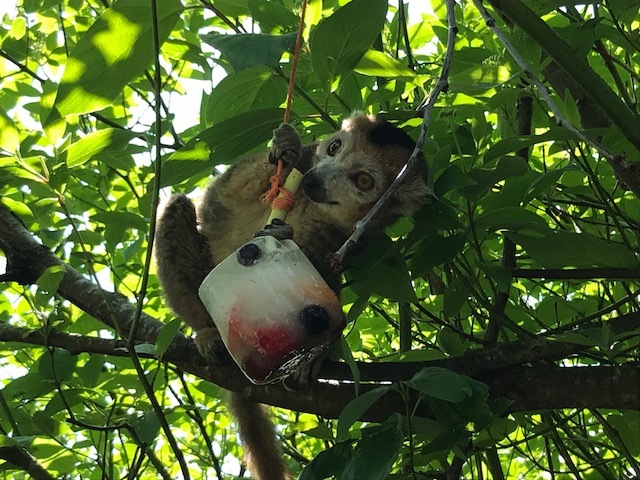 We saw lots and lots of animals – giraffes, rhinos, an elephant, lemurs, penguins, sea lions, lions, monkeys. We went on a pedal boat, and the girls went down a big slide a few times. It was lovely weather and good fun. Oh. And we had some ice cream too. It was a good day out. Anyway, back to my training… the 10 mile run yesterday was good. It warmed up as I went, but as I started at 830am, it wasn’t too warm. 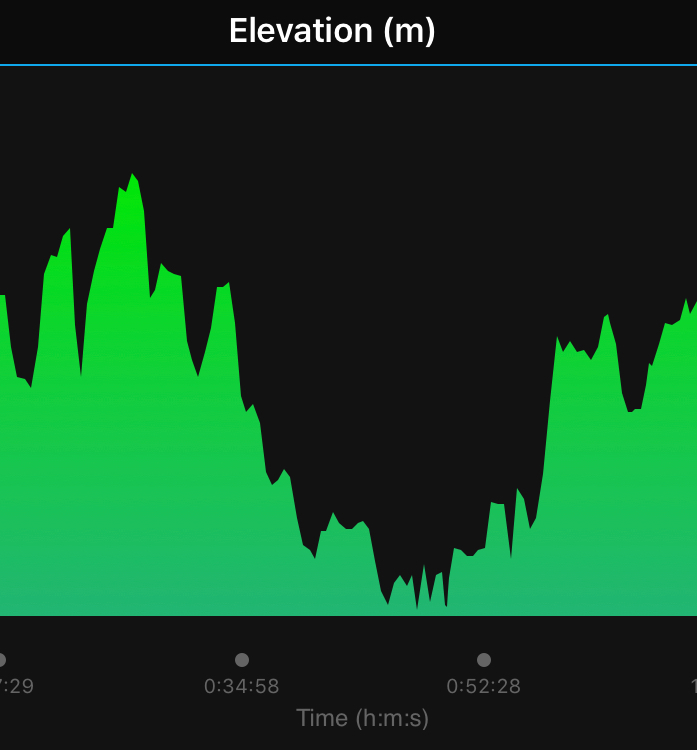 I decided I’d take it easy (as I felt a bit sick a couple of miles in)… and run to Kelvingrove Park, then run the women’s 10k route to see if I could remind myself of the uphills and downhills. 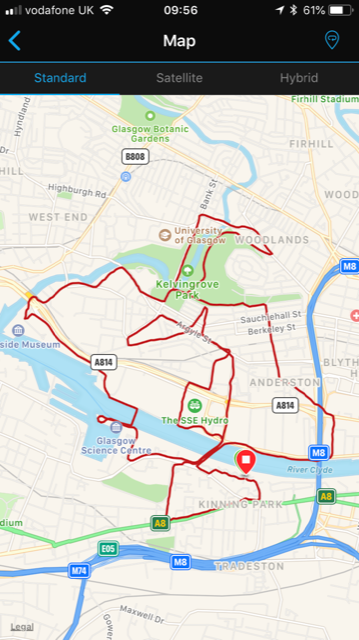 If I remember rightly, it’s slightly uphill for the first mile, including a wee downhill in Kelvingrove, downhill a bit to the Clyde, Flat (and a bit windy) miles 3 into 4, then mile 5 is uphill up Finnieston. Into the last mile there’s a bit of a short sharp uphill and right turn before you go back up to Argyll street, then flattish towards the end. 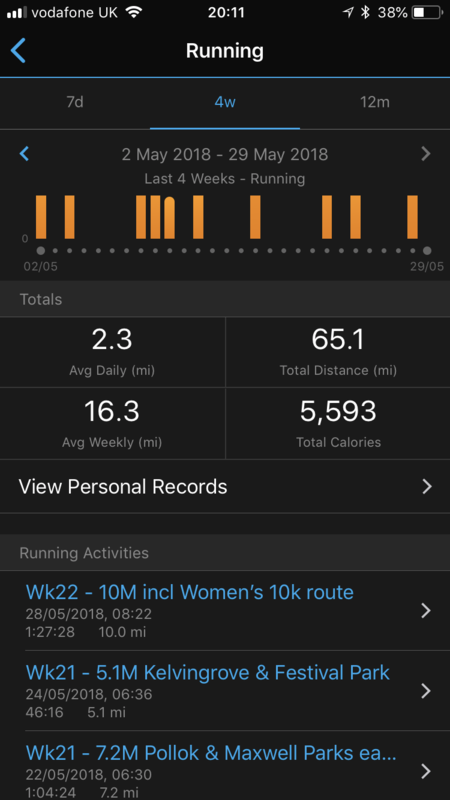 I ran 10k in about 54 minutes on Monday, average HR 154 across the 10 miles. I had a caffeine gel at mile 3 and mile 6, and somehow the sickness feeling faded shortly after I felt it come on. No idea what it was. I’d had my usual breakfast, and water before the run. After about 5 miles I was feeling good, and at the end I felt great and very grateful to be able to run 10 miles, just like that. A wee bit of gardening, sitting in the sun, painting and food shopping finished off the bank holiday. 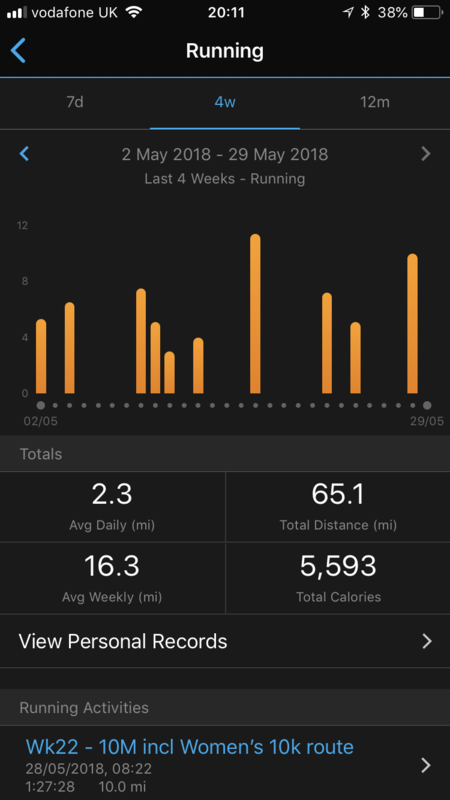 May now has me having run 65.08 miles across 10 runs. I’ve just run as I’ve felt and not focussed too much on it, making sure that I recovered from the marathon – 5 weeks on. I might get to 75 or 80 miles this month, but we’ll see. I’m up to my 6th Strength session in this block of 8. I’ve done two a week and can feel myself get stronger. 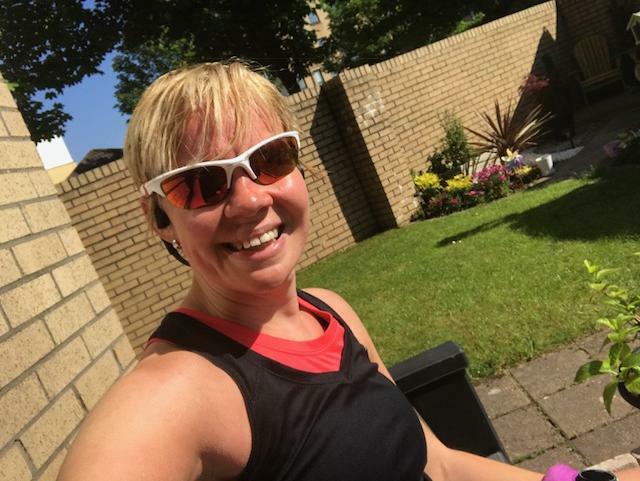 Another two sessions, then I’ll revisit my training plan and strength sessions, (which will also be after the women’s 10k.) I’ve increased my weights, and am up to 16-20 press-ups x 3. 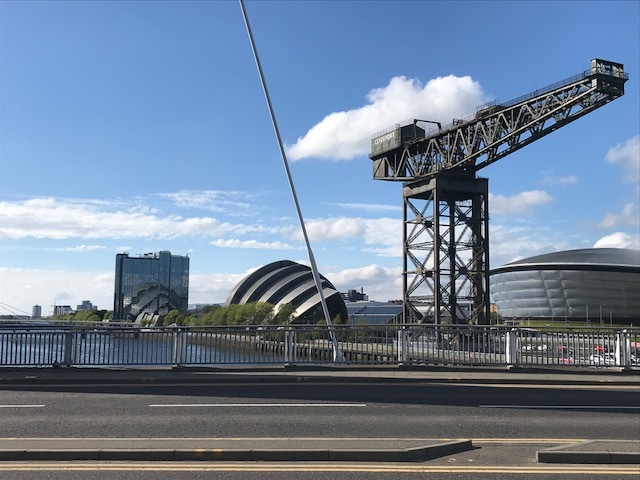 I’m also finding it easier to get up early, it just be the warmer weather and lighter mornings – they both make such a difference. 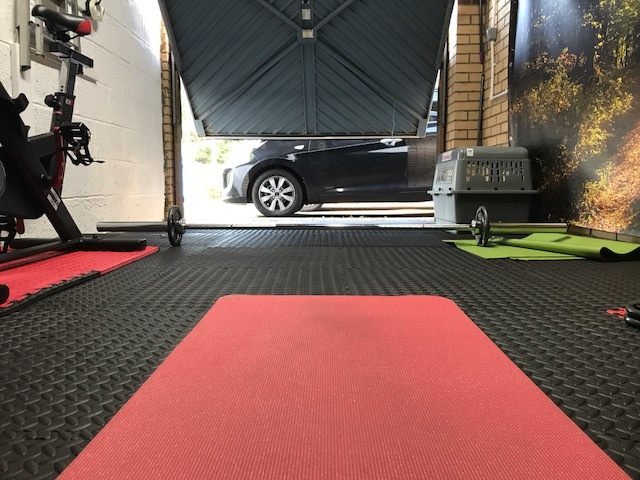 I can even Strength train outside or with the Garagym door open (with the birds signing in the background). I’m trying for a run one day, then Strength the next, then run, then Strength. It worked last week, up to the weekend. And I’m taking Rest days when I need them too. I’m not really getting much DOMS after Strength. But I do have a sports massage on Wednesday, so I’m sure Lorraine will find some sore bits on me.